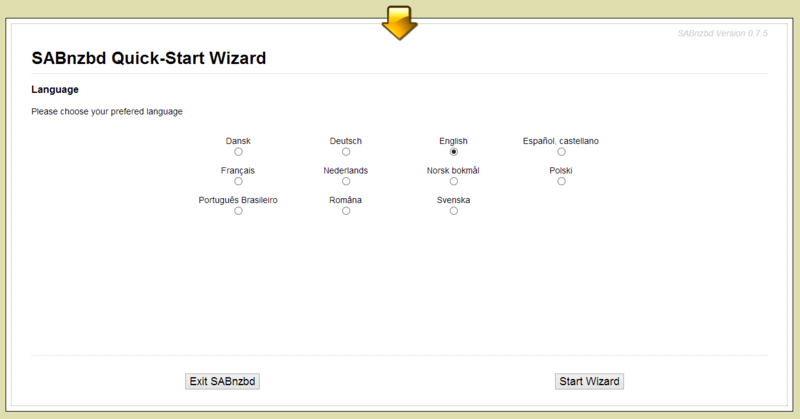 After the installation of the packages we’ll first configure SABnzbd. SABnzbd will take care of all the usenet download tasks. 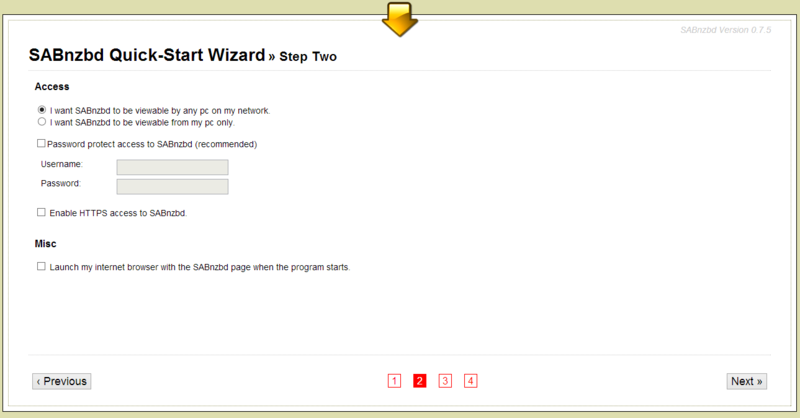 You can open the SABnzbd webpage by browsing to http://SYNOLOGYIP:8080, the first time you access this page you must finish the installation wizard. In the next screen you enter your usenet server address and credentials. 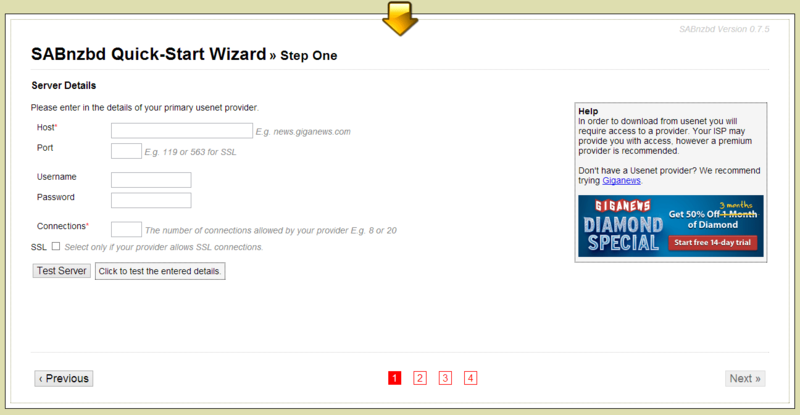 You can click ‘Test Server’ to make sure SABnzbd can connect. Click ‘Next’ when you’re ready. 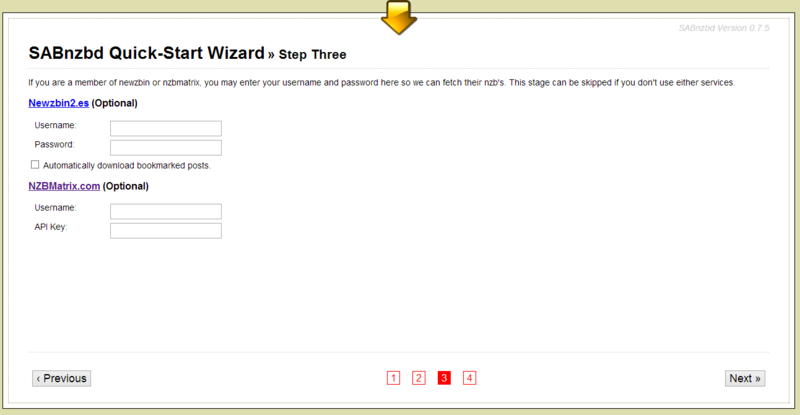 In step two of the wizard you can optional set an username and password for SABnzbd, I’m using SABnzbd only from my internal network so I choose to leave these empty. In step three we can provide searchprovider credentials, I’m not using SABnzbd with searchproviders so I leave these empty. 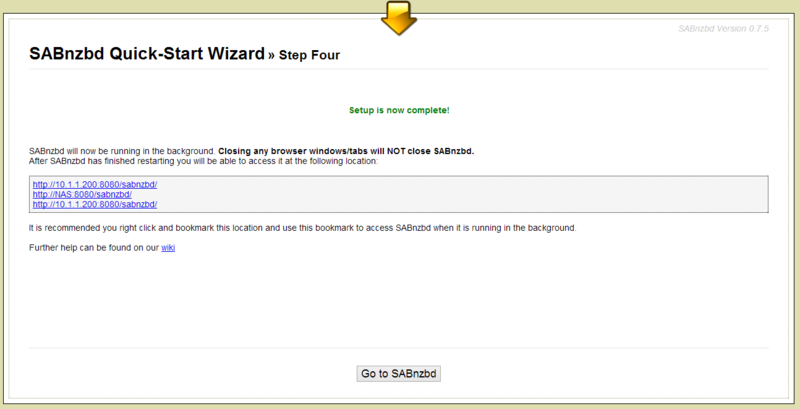 Here is the last step of the wizard, on this page you find the IP and port number of your SABnzbd dashboard.